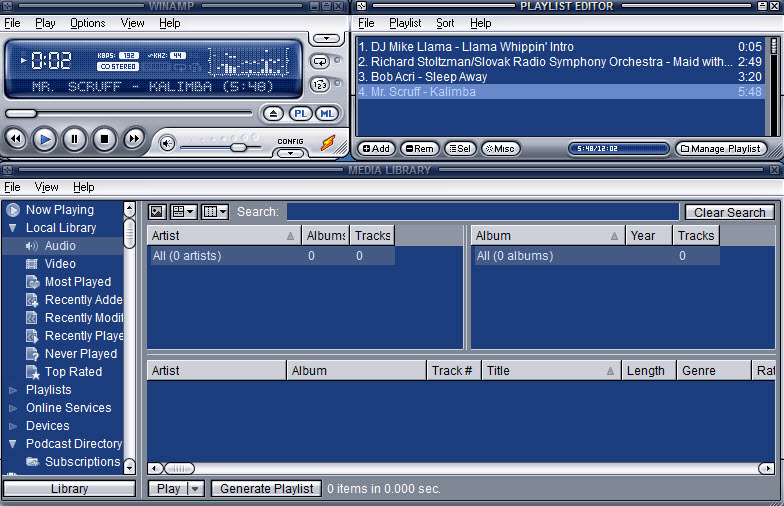 Winamp is probably the most popular audio player being developed since 1997. The program is available for multiple platforms and can play MP3, AAC, FLAC, OGG, CD audio tracks and many other file types, including video formats such as MP4, MKV, AVI, WMA. The program stands out with a robust and intuitive user interface. It includes multiple skins, you can open and play local folders with audio files, URLs, CDs. You can create custom playlists and adjust the equalizer's options. In other words, you have full control of bass, treble etc. and you can save your custom settings of choose from default ones (rick, techno, party, live etc.). You can add files with drag&drop, edit metadata (title, name, year, genre ..) and rate items from your playlists. 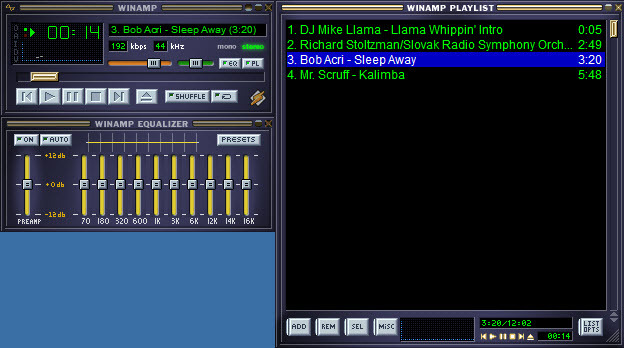 Winamp is available as free download for Windows 32-bit and 64-bit. Winamp is 100% clean and safe to install. You can see the test results here.